Space Flight Laboratory (SFL) is celebrating the company's 20th year of developing complete microspace missions and will highlight autonomous formation flight technologies for micro- and nanosatellites (smallsats) at an upcoming smallsat event. The next launch of an SFL-developed mission is expected to be the HawkEye 360 Pathfinder cluster later this year. SFL is a subcontractor to Deep Space Industries, the prime contractor for the mission. These three microsatellites will use breakthrough formation flight technology developed by SFL. The HawkEye 360 Pathfinder microsatellites will pave the way for a commercial service providing unique Radio Frequency (RF) geolocation analytics. 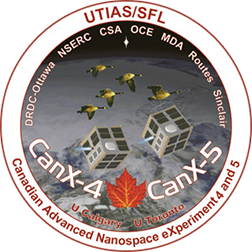 SFL, which was established in 1998 as a self-sustaining specialty lab at the University of Toronto Institute for Aerospace Studies (UTIAS), has developed and refined numerous microspace technologies for 22 smallsats that have been launched over the past two decades and the company is currently developing 11 new satellites at their Toronto facility. During the past two decades, SFL has innovated numerous technologies for smallsats, including precise attitude control, modular power systems and other subsystems which have contributed to development of autonomous formation flying capabilities. Autonomous formation flying refers to the capability of the satellites to orbit in a constellation with their relative positions predetermined and spacing precisely maintained without assistance from ground-based commands. Advanced onboard hardware and software allow the satellites to communicate with each other to keep their positioning exact. SFL will discuss formation flight and other smallsat advancements in Booth 20 at the 2018 Small Satellite Conference in Logan, Utah, which runs from August 4 through 9 and examines the technical issues within the industry — Hawkeye 360 will be highlighting the Pathfinder mission in Booth 143. Innovative technologies for the business and finance sides of the satellite and space industry, such as those mentioned above, will be presented by more than 120 subject-matter experts and industry leaders at Satellite Innovation, being held from October 8 through 11, in Silicon Valley, California. For in-depth information, please visit the Satellite Innovation infosite.